Signed and numbered (one of 250 copies) limited first edition. Synopsis : Two young British students, Nazim Jamal and Rafi Hassan vanish without a trace. The police tell their parents that the boys had been under surveillance, that it was likely they left the country to pursue their dangerous new ideals. Seven years later, Nazim's grief-stricken mother is still unconvinced. Jenny Cooper is her last hope. Jenny is finally beginning to settle into her role as Coroner for the Severn Valley; the ghosts of her past that threatened to topple her, banished to the sidelines once more. But as the inquest into Nazim's disappearance gets underway, the stink of corruption and conspiracy becomes clear...As the pressure from above increases, a code of silence is imposed on the inquest and events begin to spiral out of all control, pushing Jenny to breaking point. 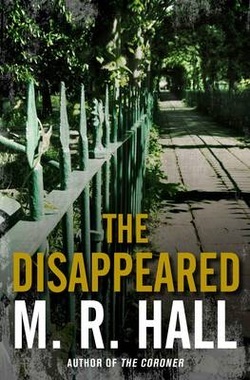 For how could she have known that by unravelling the mysteries of the disappeared, she would begin to unearth her own buried secrets?